Of late, banks and financial institutes around the world are wary of dealing with cryptocurrencies. In countries such as India, Chile, Iran and China, banks have either issued a banking embargo upon those dealing with cryptos or are mulling to do so. The latest name to come up with a similar move is the Reserve Bank of Zimbabwe (RBZ) which has issued an order to all financial institutions in the country to no longer deal with those involved in the cryptocurrency trade. Mataruka has commented that this move has been taken keeping in mind how interconnected the fiat currencies and cryptocurrencies are. He states that it is the duty of the Reserve Bank to ‘safeguard the integrity of the payment systems’. 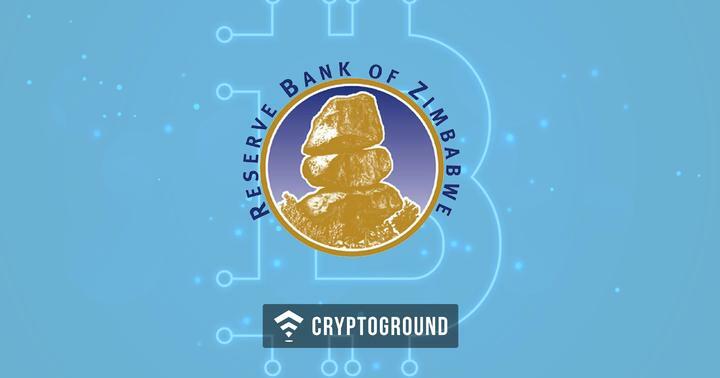 The banking embargo issued by the Reserve Bank of Zimbabwe applies not only to exchanges but to individuals dealing in cryptocurrencies as well. This is quite an ironic move from the Reserve Bank as Zimbabwe is a country where inflations levels are on the rise and prices of commodities are rising while the value of money is on a fall. Interestingly, a number of African nations, particularly those affected by war and extreme economic instability are looking forward towards cryptocurrencies as an alternative to banking systems because of the lack of a proper financial infrastructure in the nation. The Reserve Bank of Zimbabwe was considering issuing a ban on cryptocurrencies as illegal till a proper regulatory framework is developed. However, instead of making cryptocurrencies illegal - the country has now banned banks from dealing with crypto traders. RBZ Governor John Mangudya issued a statement warning the public that all cryptocurrency investments are at their own risk now. Banking embargos on the crypto-trade are getting quite common. A similar circular was recently issued by the Reserve Bank of India - which stated that all individuals and organizations dealing with cryptocurrencies will no longer be provided services by regulated financial bodies after three months. This has met with quite a backlash from the traders as well as the exchanges. Cryptocurrency exchanges have filed multiple cases against the Reserve Bank of India and the hearing is set for later this month. Chile too has been going through a similar scenario. Chilean banks had stopped providing services to cryptocurrency exchanges in the nation - but a recent court judgment states that banks need to re-open these accounts. With the Reserve Bank of Zimbabwe heading down a similar path, we expect that this move would be met with a backlash from the traders and exchanges in the nation and the matter will be taken to the court - as is the case with other nations across the globe.